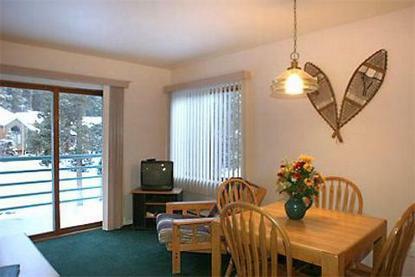 One and two bedroom fully equipped condominiums in Breckenridge, nestled in the pines next to a mountain stream on a ski run, just two blocks from Breckenridges historic Main Street. There is a 15 dollar cleaning fee for a one or two night stay. Must be at least 18 years old or accompanied by a parent. Credit card used must be presented on arrival by the card holder.Non refundable 30 days prior to arrival. Continental breakfast no longer served.